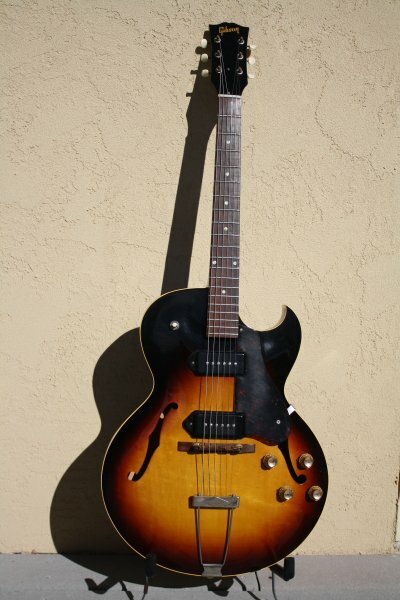 Extremely fine sunburst ES-125 thin line with dual pickups. All original with little wear and no issues. Clean finish, frets with little or no wear. Plays and sounds wonderful. Case is chip board but likely the original case. Weight: 5 lbs. 6 oz.